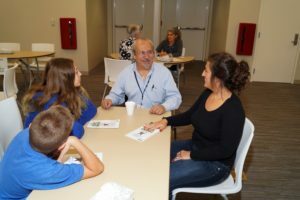 Ashtabula County District Library has the distinct honor of being the first public library in Ohio ever to host an event for the Human Library® initiative. We’ve held three events to date, each with a different slate of subjects. This unique program brings together volunteers who agree to be our Human Books. Patrons check out the Human Books for a one-on-one conversation about the subject of the Human Book — their life experiences. Human Books come from all walks of life. This groundbreaking program was held on Saturday, October 15, 2016, at the Ashtabula building. 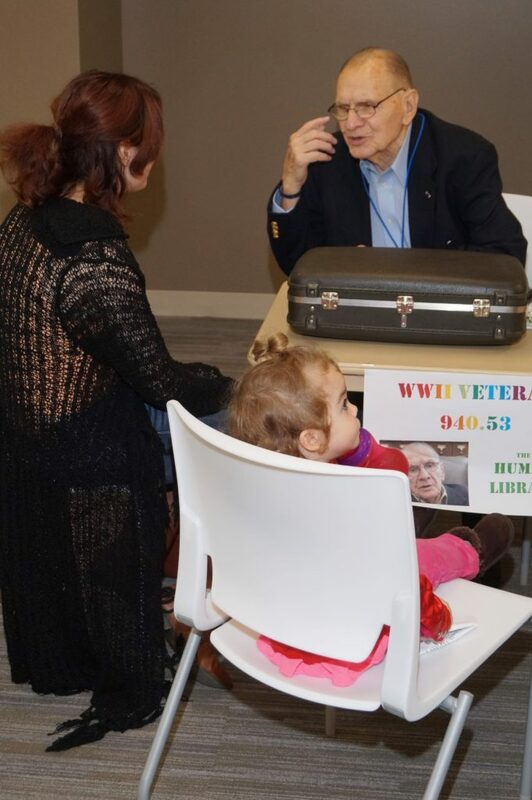 Patrons learned about life as a decorated World War II veteran, or living with autism, or homeschooling — and many other fascinating subjects! Subsequent Human Library® events have included new subjects, such as living with non-remissible cancer, working as a tattoo artist, being transgender, and life as a Mormon missionary.